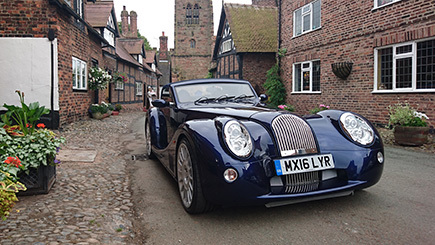 Get the keys of a modern classic and experience true luxury from behind the wheel of the ultimate weekend car, the Morgan Aero 8. Much sought-after by celebrities and professional drivers, this beautiful British sports car combines chrome, leather and curves which hark back to decades past with a stunning V8 engine that purrs as you work through the gears. With 300 miles to roar through in style there's definitely reason to show off, and should the weather permit, roll down the roof and feel the wind in your hair. Very few will ever get this opportunity, and it may well make that trusty commuter feel a little unworthy by comparison. Friday - Monday throughout the year. Vehicles can be collected from either a London or a Hertfordshire venue free of charge. Delivery can be arranged at additional cost (for which you will need to liaise directly).